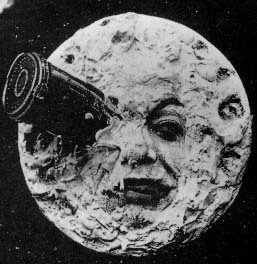 Liz asked if I would like to post about Georges Méliès’s 1902 French short, Le Voyage dans la Lune. 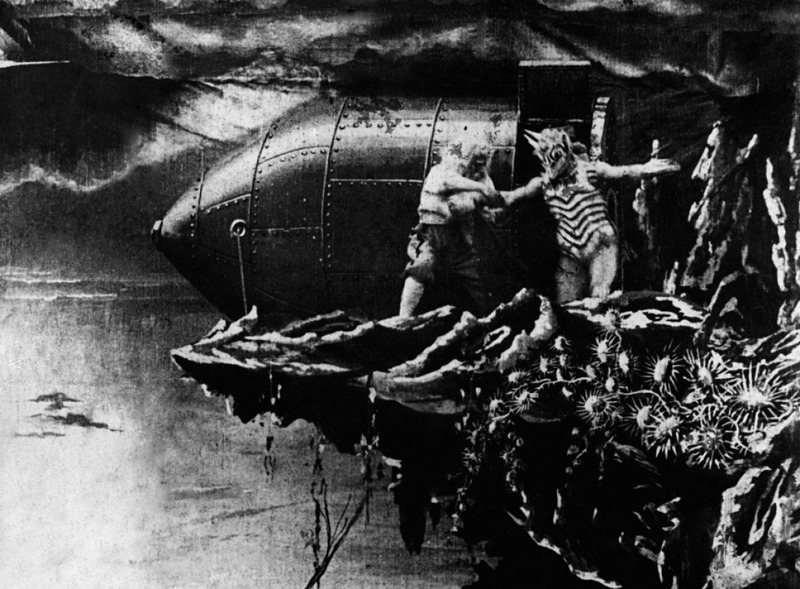 Which apparently was inspired by Jules Verne’s Around the Moon and From the Earth to the Moon, and by Offenbach’s operetta Le voyage dans la lune, a parody of the two. What! Offenbach made fun of Jules Verne? This I must see. But anyway. I realized my post comes at a most opportune time — thanks to my procrastinating ways — since the Western lunar eclipse begins tonight. And while some may think it sheer lunacy to stay up past midnight, I most definitely will be awake. I’m already crazy to start with, anyway. Back to our film. The story begins with an outlandish proposal: A journey to the moon. Astrologers are handed telescopes, which magically turn into stools, and they sit down. Lectures last a long time, after all. (Can they turn them back into telescopes, I wonder? All obstacles overcome, they build a bullet-shaped rocket. 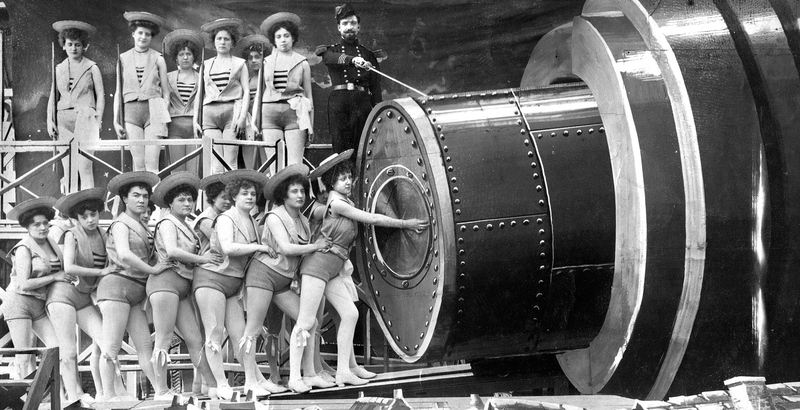 A group of women sporting sailor outfits and tights push it into a cannon, and they set off. The ship approaches the moon — which looks more and more like a huge meringue pie with a face — landing smack dab in its eye. They land, disembark, and after wildly gesturing at earth, fall promptly asleep, because making history is exhausting. Naturally, all the exciting stuff happens while they’re unconscious, including a lunar shower, which wakes them up. Armed with umbrellas, they begin exploration into a mushroom jungle. Or perhaps I should say umbrella jungle? Because as soon as one astronomer sticks his in the dirt, it morphs into a giant mushroom. Then a Selenite, an alien resembling a cross between a triceratops and the creature from the black lagoon, shows up. Curious but minding its own business, it hops about until one of the explorers kills it. It explodes in a puff of smoke. Way to destroy the natives, people. Soon an army of them surrounds the scientists and takes them to see their king, whom the explorers also destroy before making a dash for the bullet-ship. At this point, I started wondering how they would return to earth without a giant cannon and a bevy of sailor beauties. Barren landscapes meet the eye, the Selenites look hideous, and even if they didn’t, where would they find a sailor suit? There’s no way the Selenites can look like this without some serious plastic surgery. But never fear! One heroic scientist stays outside and pulls the bullet off a cliff with a sturdy rope, making it splash straight into earth’s ocean. Because gravity. One of the creatures falls along with it, which begs the question: why is this the first time a Selenite lands on earth? At least one of them must have tried cliff-diving before. 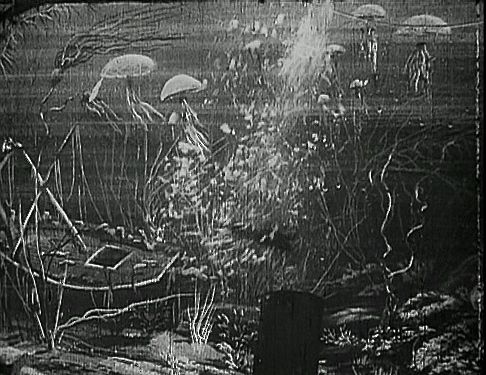 I read that the scene where the rocket falls into the sea was filmed using a cardboard cutout in an aquarium with tadpoles. Pretty neat. This film employed ingenious new special effects for its time, which makes it a must-see for any film fan. Its quirky French humor is just an added bonus. 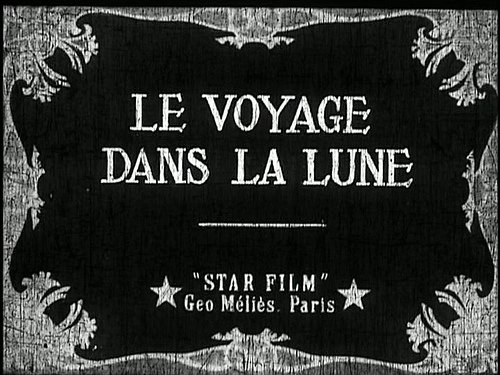 This entry was posted in Entertainment and tagged 1902, French, Georges Méliès, Le Voyage dans la Lune, short film, silent film, special effects, Voyage to the Moon by Jasmín. Bookmark the permalink.